Welcome to the Palisades Statuary! 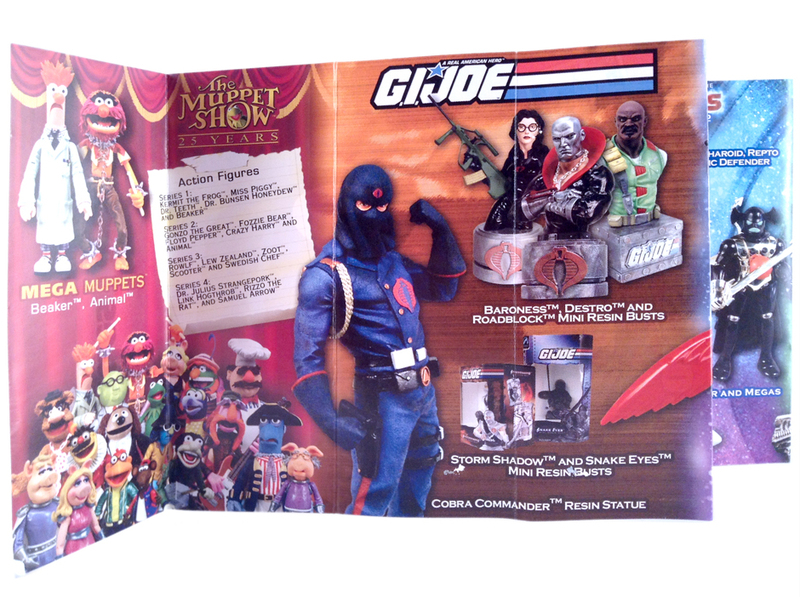 From 2002-2005, The now defunct Palisades Toys enjoyed a three year licensing deal with Hasbro to release G.I. Joe licensed merchandise including Mini-Busts and Statues. I have collected several of these, but not all. To see a complete list of the statues released, including many paint variations, see this page. If you'd like to share your statues on 3DJoes, please contact me via Facebook or Twitter and we'll arrange for mailing them to me for documentation and then back to you. Click on a 3D photo below to load it, or click on the name button to go to that figure's page and see a much larger 3D photo and packaging photos if those are available. This catalog was included with each of the packaged statues I've purchased.